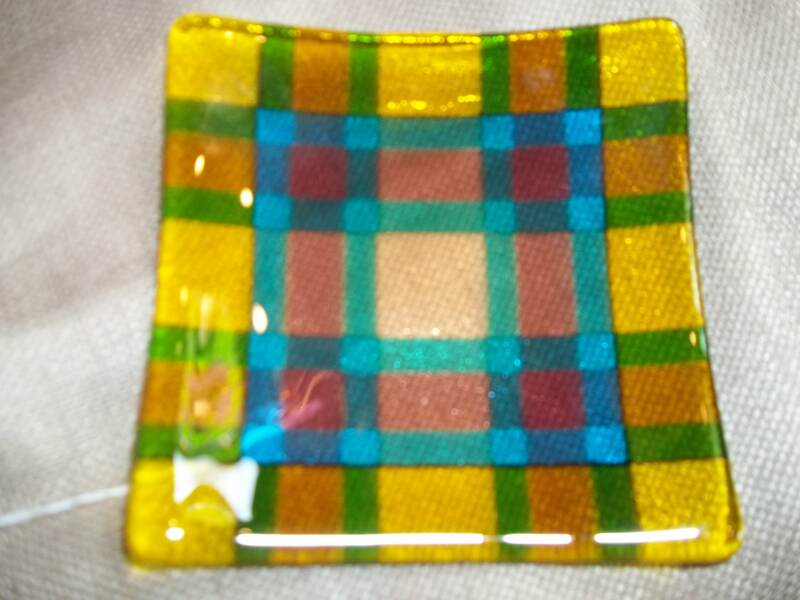 This fused glass plaid sushi dish measures 5" x 5". It has a variety of uses. It can be used as a serving dish for sushi, candies or small treats. It can also be used as a pillar candle holder or displayed as a work of art. This one of a kind handcrafted piece was fused twice in the kiln. The first firing fused all of the glass into one piece and was then fired again in a ceramic mold to get its shape.